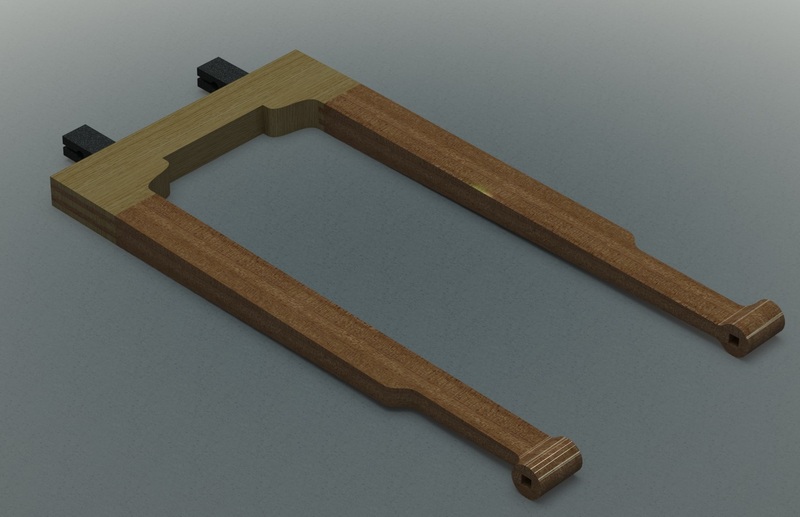 I got the joinery done on the saw frame for the Chevalet this morning. 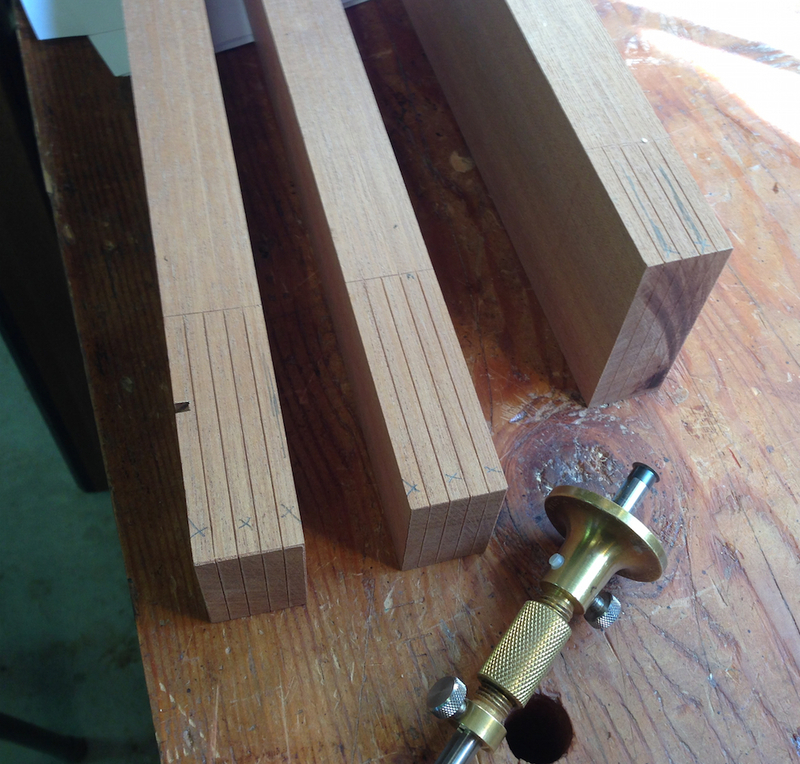 I was worried about getting the giant finger joint to fit and be straight — it turned out to be pretty straightforward. It’s not perfect — the shoulders could be a little tighter in a couple of spots — but it lays absolutely flat on the bench and the joint is nice and tight. I need to do the rest of the details on it after lunch, the mortises for the brackets on the back, the mortises for the blade clamps and the shaping/tapering. 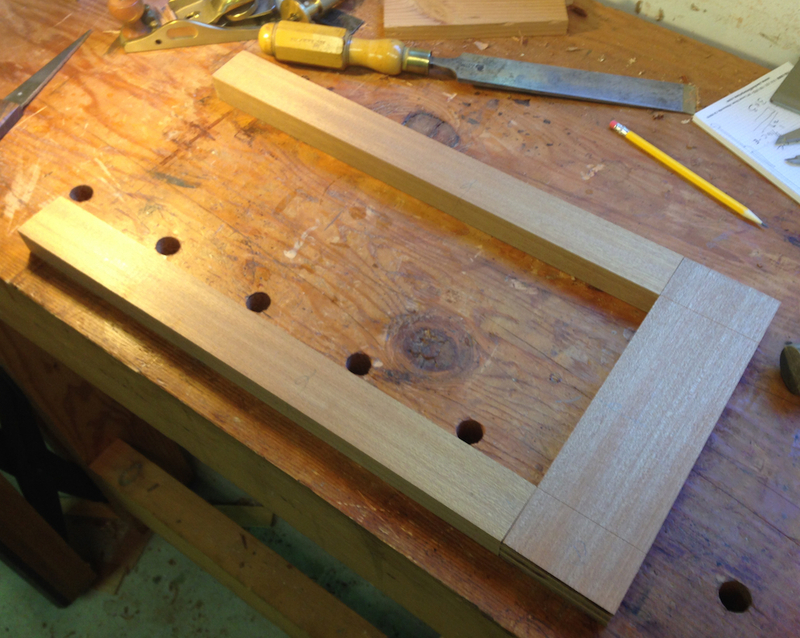 I started by laying out the joinery, and marking the waste. I sawed the faces on the bandsaw with a fence. It tried to be careful to account for the kerf and just remove the scribed line (from the correct side!). Then it was chiseling out the waste and some tune up here and there. I want to be able to do this with a hand saw, but this wasn’t the project to experiment on. After sawing on the band saw, chopping out the waste and general clean up it all fits pretty well. This is where I’m headed. I need to do all of the details and glue the saw up next, that should feel pretty good. I love the London pattern chisel handle in the second image. Did you turn that, or is it a vintage one? That’s an original with a boxwood handle. I’ll post a pic tomorrow, it’s the only chisel I own that is narrow enough to reach between the fingers to pare out a few overly tight spots in the fit.